For luxury living in Universal City, TX, you will find all you desire and more at Arya Grove. Our one, two, and three bedroom apartments for rent offer all the space you need, and a high-quality design serves as the perfect foundation to style with your personal touches. Two-tone paint adds character to your apartment, while the white cabinets complement any color scheme you choose. 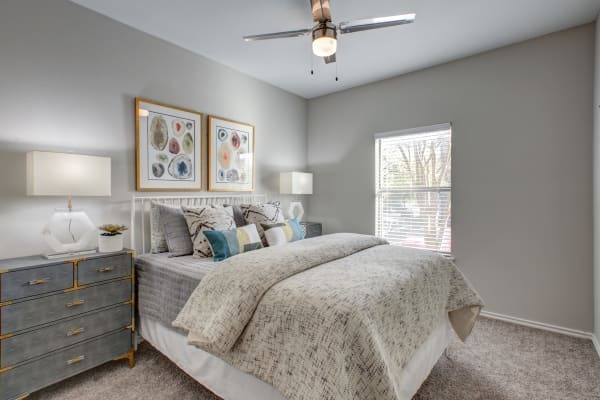 No matter which of our six layouts you choose, you will appreciate a welcoming atmosphere with wood-style flooring and high ceilings, while walk-in closets offer plenty of storage room for your wardrobe and belongings. Our floor plans start at 587 square feet and top out at 1,150 square feet. Our pet-friendly apartments in Universal City, TX, near Converse offer the luxury you desire for your suburban lifestyle. Modern essentials like a dishwasher, high-speed internet access, and washer and dryer connections keep your life pain-free. Stay cool in the summer months with air conditioning and ceiling fans, and get some fresh air whenever you wish on your private balcony or patio. The open layout ensures you have plenty of room to spread out and carry conversations from one room to the next. Our helpful staff would love to show you our floor plans. Get in touch with our management team today and schedule a tour at Arya Grove.